A common cause is the instinct to spray or mark, and this is most common among unneutered males, though it is also something that can happen in females and neutered males. Cats usually mark to lay claim to their territory-- especially if there is a female in heat in the area -- or as a reaction to stress. Cats have incredibly strong powers of smell (not as strong as a dog, but many times more powerful than humans). Normal household cleaners will not remove the smell or urine or feces. 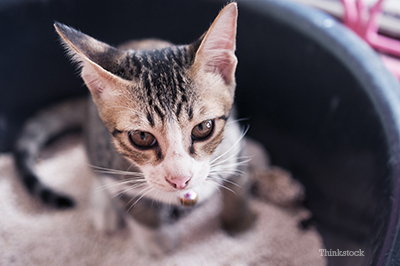 You will need to use special enzymatic cleaners to get the (awful) odor out of carpet, upholstery, wood floors, and anything else that your cat’s waste might touch. 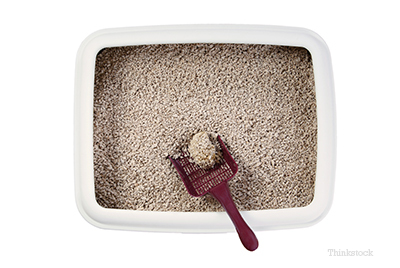 The odor from the urine of an unneutered male is particularly difficult to get out of many materials (another reason to get your kitty neutered!). Your veterinarian can recommend the best product for you.